Forest River Travel Trailer model promise to deliver! 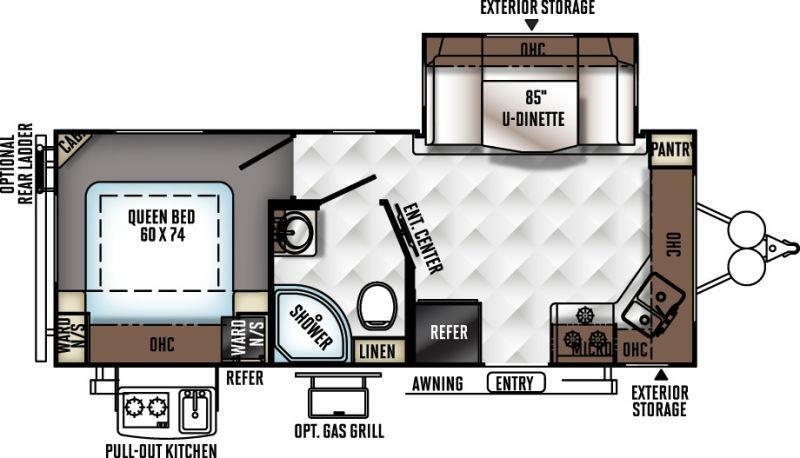 See this NEW 2019 Flagstaff Micro Lite 25FKS model at our Weare RV lot. Cozy interior with all the comforts of home. Private bedroom suite in rear. Complete kitchen up front with corner double sink and spacious cabinets. Large awning and outside kitchen to enjoy once you set up camp. Such a FUN unit. Learn more today!